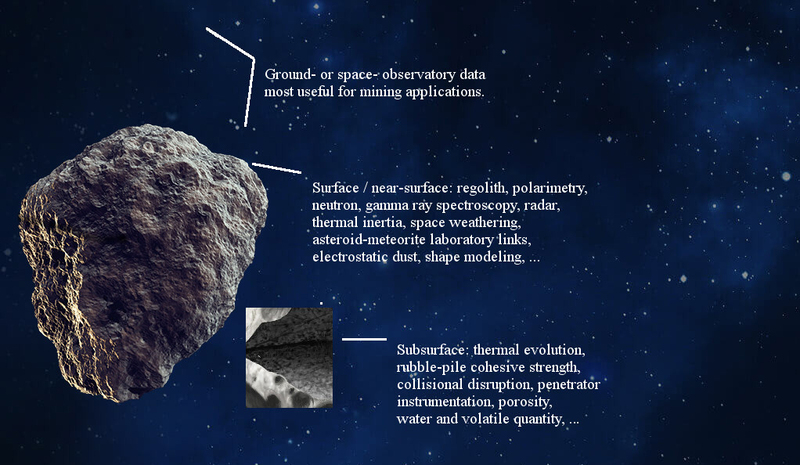 The space missions of the asteroid miners rest on a deep knowledge of the physical properties of asteroids. However, because the two domains of in-space resources engineers and asteroid scientists have different dependencies on their funding streams, the two domains have been working relatively separately from the other. The two need each other: The scientists need more proofs of the applications of their work to satisfy their funding agencies, and the engineers need more science for the success of their mission planning. This workshop of roughly 30-60 scientists and engineers seeks to bridge the divide by providing an environment for the detailed discussion of specific properties of asteroids with the engineering needs of space missions with in-space asteroid utilization. A White Paper with Key Questions from the Asteroid Miners and Answers from the Scientists will be one of the workshop outcomes.